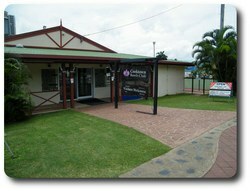 Cooktown Bowls Club is located on the esplanade beside the park and specialises in great food, friendly service all in a clean, air conditioned venue with the best views in town. Come down, relax and enjoy the scenery. Bowls is held every Wednesday afternoon at 1pm with free afternoon tea and Sunday at 8.30am includes a free BBQ lunch. Talk to the staff to arrange a game. Cards and Games mornings are held every Tuesday Morning at 10am and Bingo on Thursday at 10am. Friday nights are the Orchid Club raffles with fantastic prizes to be won. 15 Pokies are regularly paying out and we have had some nice wins on the Keno. 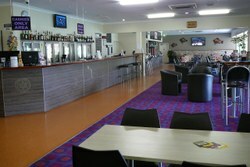 Members enjoy discounted drinks and takeaway specials as well as great promotional giveaways. Free tea, coffee and WiFi so sit down relax and soak up the atmosphere of our refurbished club.